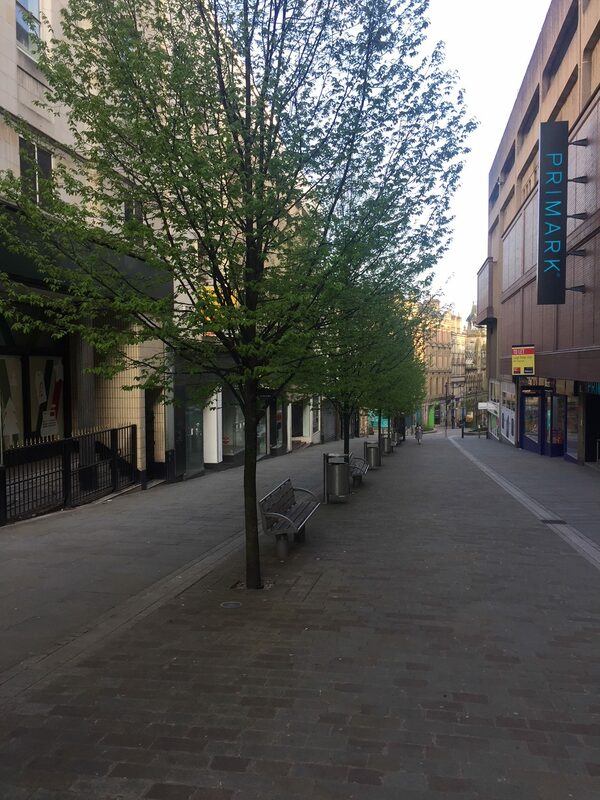 Bradford’s ailing Darley Street looks set to lose yet another high street stalwart, as sources close to Specsavers opticians reveal that they’re in the advanced stages of a move to Broadway. Although no official announcement has been made, Bradford Civic Society understands that the long-established shop is moving to a unit opposite the new Light Cinema complex on Broadway itself. This means that Scotts clothing will be the last remaining high street store on the eastern row of a once busy shopping street. Just over a year ago, Bradford Civic Society and Bradford Politics in the Pub co-hosted a packed public debate on the future of Darley Street, with members of the public hearing about the council’s plans to relocate the city’s food market to the former M&S building. Since then, we understand that advanced design and development work has been going on behind the scenes, with market traders and other retailers being consulted on their needs. It’s been encouraging to see pockets of activity (such as arts events in the old M&S building, and significant retail investment from both Primark and Poundland fronting onto Darley Street’s western side), yet the retail and hospitality market remains difficult at a national level, and the owners of the 1970s-built Kirkgate Centre have yet to make any significant improvements to their offering. The exodus of established retail from Darley Street presents a clear planning challenge for Bradford Council, but could also be an opportunity to create a new food and drink destination for the city centre. Meanwhile, a Townscape Heritage project could breathe new life into vacant buildings close to Darley Street in the city’s northern quarter. The council-backed project works with landlords and property owners to bring vacant heritage buildings back into use using heritage Lottery funds, and also promises a significant public realm investment for areas adjacent to Bradford’s historic shopping area.